The Land of the Midnight Sun, Alaska, is a wild frontier. It has a vast wilderness populated with bear, moose and wolves. Some of its communities are reachable only by plane. In the time we spent in Alaska, we had just one regret. We never got to see Denali National Park. We were headed to the park – about 200 miles from our hotel in Fairbanks – when our trip was abruptly cut short just past Cripple Creek Road. About 14 miles outside of Fairbanks, we became another roadside attraction. I was used to driving on icy roads, but I hit a patch of ice and overcorrected the car when it began to skid. Huge mistake. The Ford Explorer veered into a ditch and flipped onto its roof. We were unhurt, but the rented vehicle was totaled. Still, that wasn’t our most memorable experience in Alaska. Ice Alaska had just wrapped up shortly after we arrived in Fairbanks. But the frozen images of a full dog sled team and musher, a huge ship and an ice castle were still intact. 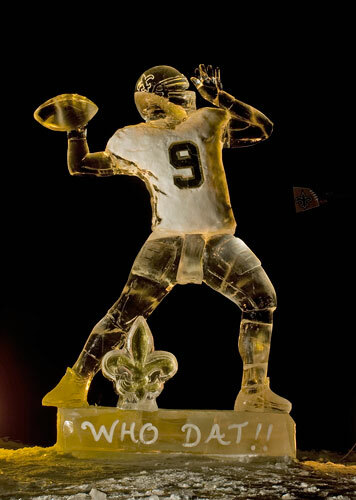 It’s amazing what works of beauty ice artists can create from a block of ice. This year, the World Ice Art Championships runs from Feb. 28 to March 25. Seventy teams from all over the globe will compete in this event that attracts more than 100 ice artists and 45,000 visitors. One morning after brunch, we flew in a small plane from Fairbanks to Fort Yukon – eight miles north of the Arctic Circle. It held only two other passengers and the pilot. Mail and boxed items took up most of the plane’s remaining space. The folks at Frontier Flying Service must have alerted Richard Carroll that two tourists were on their way. He met us at the airport and gave us an exclusive two-hour guided tour of the village. Typically, this owner/operator of Alaska Yukon Tours has a busload of people. He also conducts river tours, lake tours, gold panning and wilderness camping. To emphasize that point, he showed us the dinosaurs of technology left behind when the Air Force left town. A long-range radar site that look like a giant white golf ball with huge antennas. There is a string of these – 25 of them – from the Aleutian Islands across North America. When we visited, the high was 38 degrees in Fort Yukon and the low was 5 below zero. It actually seemed milder than the weather we left behind in Central New York (where we lived at the time). That lured us into thinking it’d be a great day for a drive, and off we went toward Denali National Park. About 15 minutes later, our drive ended with our vehicle upside down in a ditch. Every passing motorist stopped and offered to help. Two great guys from the Department of Transportation – Mike Rogan and Chris Tilly – freed us from the car, made sure we got out of the Explorer unharmed, called state police and waited with us until a trooper arrived. I wrote a letter to the local paper and to their boss thanking Rogan and Tilly for their help. Months later, I got a postcard at work featuring the Northern Lights and I burst out laughing. It was from Rogan and Tilly, the guys at the DOT. The message? They invited us to come back to visit Alaska. This time, Rogan ribbed us, we should see the Northern Lights right side up. Photo caption: A trip interrupted. Dave and I next to our rented vehicle. 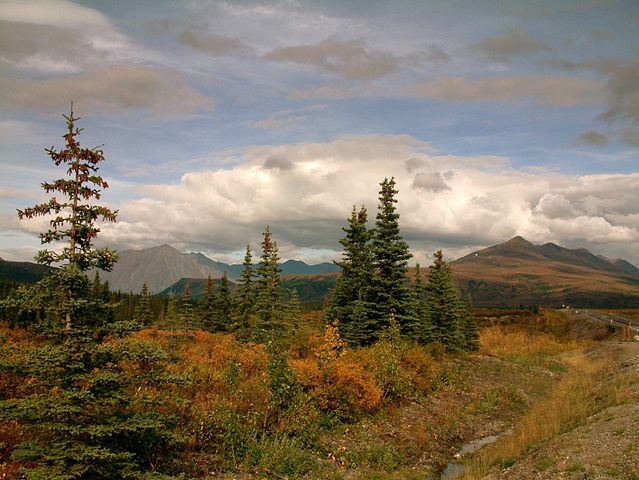 Photo caption: On the way into Denali National Park and Preserve. It is located in Interior Alaska and contains Mount McKinley, the tallest mountain in North America. The park covers 9,492 square miles. Brave souls visiting in the winter! Living in the land of ice and snow at the time, and having a one-way commute to work of 55 miles, it seemed like a great idea. We had an excellent visit except for the accident on the way to Denali. Thanks for stopping by and commenting. What a great blog! Makes me want to head to Alaska, but I’m thinking June, July or August! Thanks for stopping by my blog and commenting. Great meeting you today at the Greek Fest. Thank you. Despite the accident, we had a great time. As you know, I love the snow – just not 9 months of it (or so it seemed when we lived in Central New York). Wow, can’t believe the vehicle tipped like that. Glad you both came out unscathed. As you know, that snow in central NY, plus the winters of KS, OH, and NE are why I’m in California. And why you moved south, right? Michael, while I appreciate some snow, the length of the winters and the 55-mile one-way commute to work were definitely an inducement to moving south. 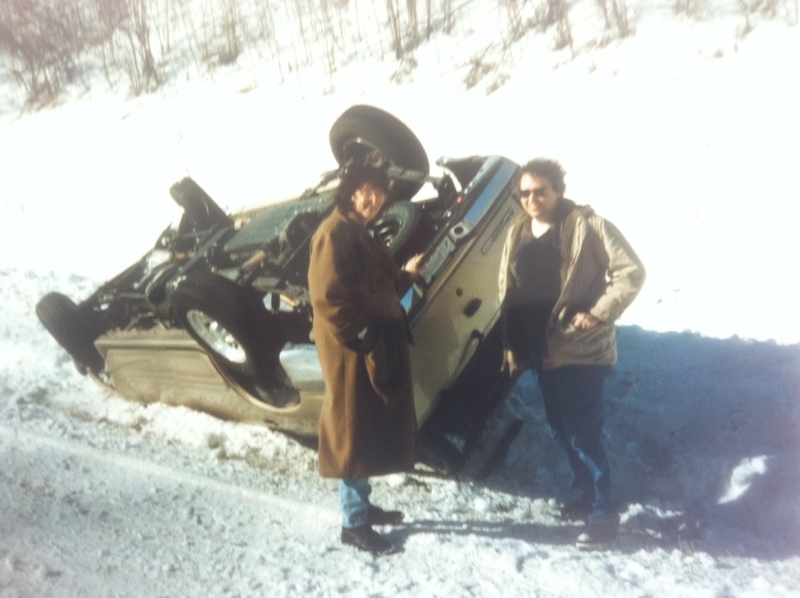 Shortly after we returned home to New York, there was a similar accident featured in the newspaper with the same type of SUV. It was a bad time for Explorers.